Note: You need to have the account setup with all the verification done with the Credit card, and the have a bank account added so that the money gets automatically withdrawn from your account. In your Paypal account, the top menu will have the different options, including “My Account”, “Send Payment” and the 3rd link “Request Payment”. Click on the Request Payment link and it would take you to the payment request section. In this, you would see two major options – Request Money, Create an Invoice. 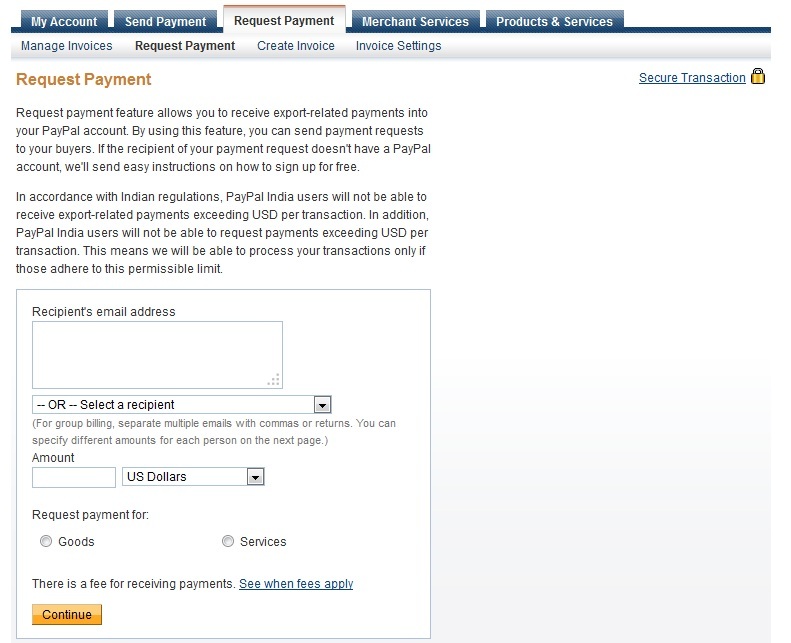 Click on the first option “Request Money” to send the payment request. The payment can be requested from an Indian user to any International buyer, but the payment from an Indian cannot be requested to an Indian customer as Paypal restricts the payment sending between Indian Paypal accounts. Fill in the details, i.e. 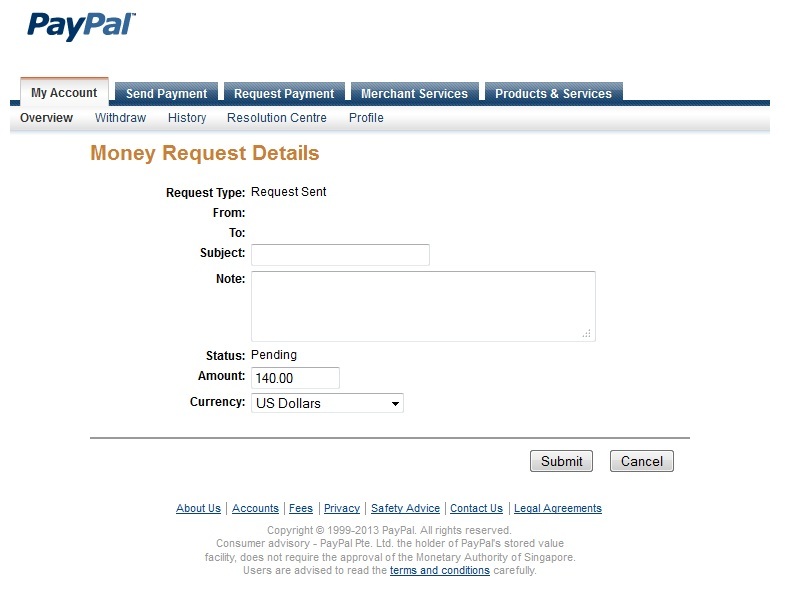 the email address of the paypal account, the amount, reason for request – Goods / Service. 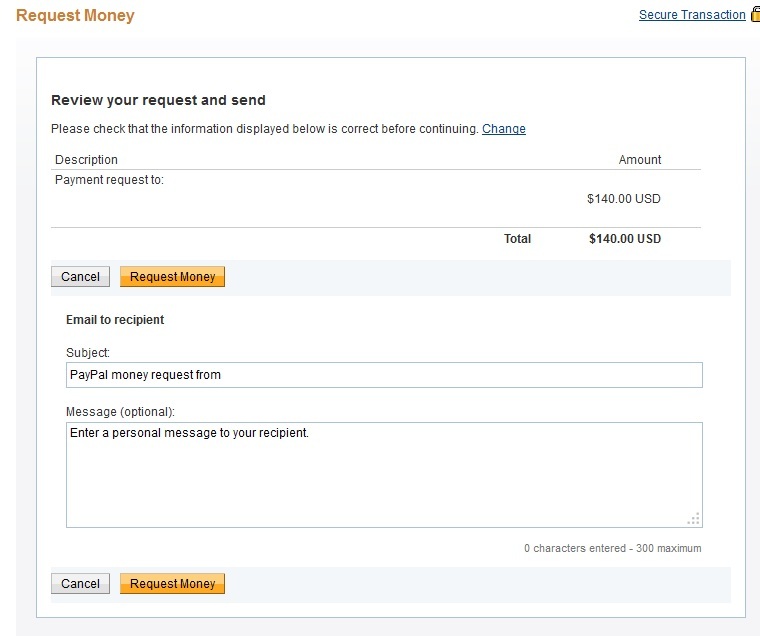 Review the payment request, and if you wanted to add any details it would be sent as an email to the recipient so you can add the Subject and Message lines. After it’s reviewed, you can click on “Request Money” to process the request. Once the request is sent, you would be notified about that through email and even the recipient would be mailed about the same payment request. 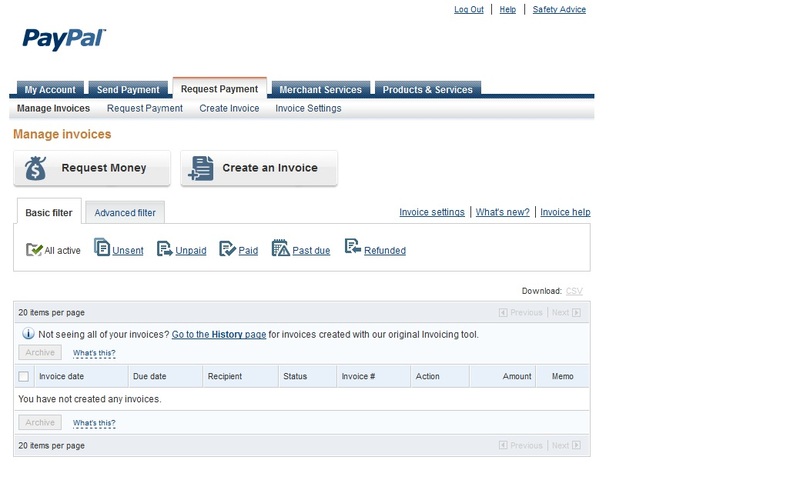 When you go into the history of your account, you would see the details by clicking on the payment request in the list. The details would show the email address of the sender and the customer, the amount and the status of the payment, whether it is sent or is still pending. From the same page, a Reminder can be sent to the buyer if you don’t receive a payment and don’t want to let them know through an email, but as a payment reminder. Editing the money request: This is possible, but only when the status of the payment is pending and the client has not yet sent the payment. If the payment is already sent, you cannot change any details. While editing, changes can be made to the amount and currency, while the Subject and Note would be sent over again to the recipient. 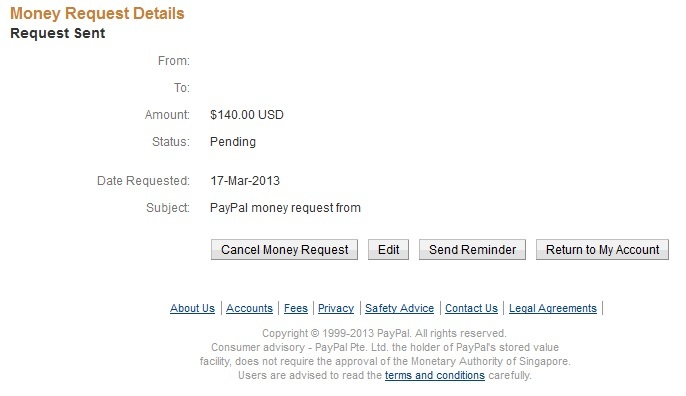 Check out how to create Paypal Buy Now Buttons for the shopping carts in websites.